People living near the new Fullabrook wind farm claim their lives are being “destroyed” by the noise generated from each of the 22 turbines. The residents, some who live only 400m from the structures, say they can no longer sleep as a result of the intrusive sound. But despite numerous registered complaints about the noise at Fullabrook, North Devon Council (NDC) is unable to act until the whole site is complete and commissioned, which may not be for another three weeks. Once the site is commissioned, officers from the council will visit Fullabrook to monitor the sound levels in order to ascertain whether they meet the requirements set out by the Secretary of State. Jeremy Mann, head of environmental health and housing services at NDC said: “I can confirm that a number of the residents near to the wind farm have now expressed concern regarding the noise levels. In the meantime, several residents feel they are trapped living with the noise because, if they tried to move house, few people would be interested in buying a property next to a wind turbine. 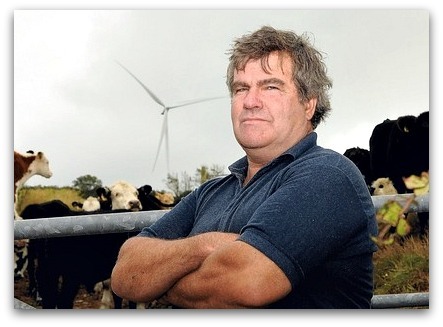 Nick Williams lives at Fullabrook itself, with six of the turbines near his house. He claimed the wind farm had destroyed the area he lives in, as well as his life. He said: “It is like having tumble dryers in my bedroom, and so I mostly have to sleep on the sofa in my front room. Why should I be forced out of my bed? Another resident, who wanted to remain anonymous, has lived at Halsinger for over 23 years and can see three turbines from her kitchen window. She said: “I can feel the sensation from the blades turning through my pillow when I am trying to sleep at night. “There is no option of keeping the window open any longer. It is just too noisy to sleep. We were told they would be silent. Kim Parker owns a stables with 15 horses at Pippacott and she believes the noise is a problem because it is unpredictable. A spokesman for ESB International, which owns the site, confirmed it was working closely with the district council and that remedial steps could be taken if, once tested, it was found noise levels exceeded the limit. Further to this article, things don’t seem to get any better. The [turbine] testing is at the wrong time of year. During the last few weeks of lovely weather, I have had to swelter in my house, being unable to open windows at night due to the thudding wind turbines. Surely this can’t be right! 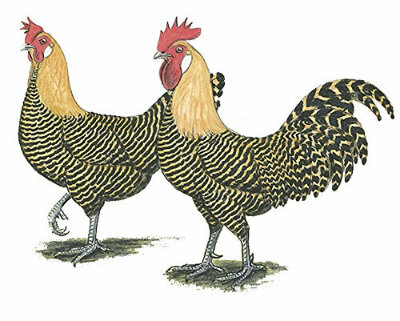 Chickens still not laying eggs! I wonder if there are any side effects on the local dairy herds?